The TomTom Curfer gives you an insight into your driving style, using a wealth of your car’s on-board diagnostic information. What is the TomTom Curfer? 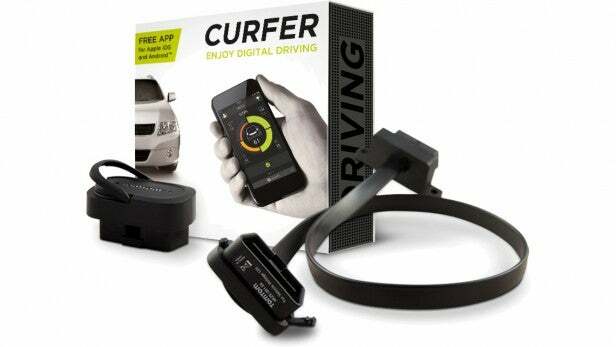 TomTom’s Curfer is a hardware and app combination that allows you to track your vehicle dynamics as you drive. One half is a hardware dongle called the LINK 100, which fits in your car. The other part is a smartphone app for Android and iOS that records information from this dongle and displays it in a number of useful ways. The primary aim here is to let you track your driving, so you can see whether you’re a smooth driver or too erratic, and which areas of your driving define your style. In theory, you can then improve the way you operate your car for a more economical performance. The LINK 100 hardware uses an interface called OBD-II to communicate with your car. This is a system that’s been standard across the globe for more than a decade. The OBD acronym stands for on-board diagnostics, and this is the port service engineers use to read information from the many computer systems that now control the operation of a modern car. The OBD-II port can register a host of data about how the engine is operating, about the electrical and braking systems, and information regarding temperature from various sensors. It can also be used to change settings, cancel error messages, and even tune the car’s performance. However, the Curfer system doesn’t involve itself with any of this; it merely reads the information it can, and then passes this to the smartphone app for analysis. Although the OBD-II port itself is standardised, and a subset of its capabilities are universal, different manufacturers have implemented additional features. In theory, this means that TomTom has to accredit not just OBD-II, but also each manufacturer and each car model as well. Officially, this implies that if your car isn’t listed in its online compatibility checker, it won’t work – and it’s supposed to be a model from 2004 onwards too. However, I tested the Curfer and LINK 100 in a somewhat antiquated 1999 Saab 9-3, which isn’t officially supported. Nevertheless, although the full set of sensor information wasn’t available, there was enough detail for the system to work just fine. Saab, as an early adopter of many automotive technologies – the first to use turbochargers for everyday cars, for example – was also early on the OBD-II bandwagon. The interface was made mandatory in the US from 1996 onwards, but in Europe only in petrol cars from 2001, and diesel from 2003. Saab added OBD-II to its cars in Europe long before this. Installing the LINK 100 is pretty easy. The most difficult part is locating where your car’s OBD-II port is. This isn’t standardised at all across brands or models, although there are a few usual spots, such as under the steering wheel. Your vehicle’s documentation may be useful here, but a quick search online will almost certainly reveal some kind soul’s photo of where to look on your particular car brand and model. Once you’ve found the port, all you need to do is plug in the LINK 100, although this must be done with the ignition turned off. Once the LINK 100 hardware is installed, and the car started, everything else proceeds via the smartphone app, which begins with a very easy-to-follow setup wizard. The LINK 100 communicates via Bluetooth, so you’ll need to pair it with your smartphone, and then use the Curfer app to select your car brand and model. The car’s sensors will then be calibrated, and you’re ready to go. The whole process takes only a few minutes. If you’re anything like me, following this you’ll spend a few minutes more gunning your car’s engine and watching the rev meter on the app go up and down, marvelling at the miracles of modern technology. The real work happens when you put your smartphone away and start driving, however. The sensor information will then be collected and combined into scores out of 100 for acceleration, braking, cornering and idling. Over time, a picture will be built up of your driving style on different days. If you turn on Tracking, it’s even possible to look at the routes you’ve taken on a map (using your smartphone’s GPS), and view how various functions of your car have changed over each journey. It will also display any points where your driving has been erratic – for example, with very hard acceleration, cornering or braking. 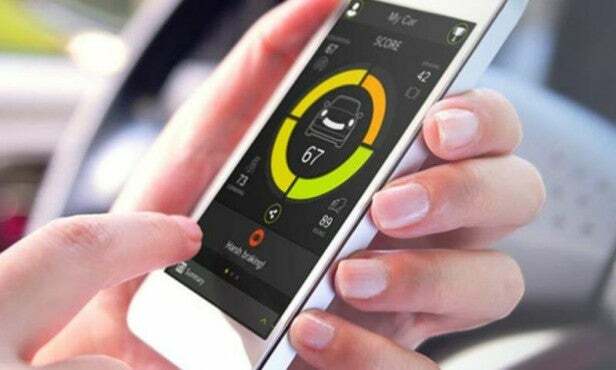 The Curfer app reveals plenty of information from your car in its Expert section. There’s battery voltage, engine load in percent, coolant temperature, engine rpm, your speed, air flow, throttle position, intake manifold pressure, intake air temperature, fuel pressure, exhaust gas recirculation, tank fuel level, barometric pressure, catalyst temperature, absolute engine load, ambient air temperature, oil temperature, charge air cooler temperature, and exhaust temperature. My car only made a little under half of those available, but there was still plenty to see. The Curfer app not only lets you view these parameters live; with Track Recording on, you can see how they’ve changed recently by clicking on them in the Expert tab. Using the aforementioned Tracks tab, you can even see how any of them have changed along your route, which is potentially very useful indeed. The Curfer app is supposed to be social, and includes the ability to share your scores online via various social media. There are badges awarded for various driving achievements, too. The sharing doesn’t present a host of readable data, only an image displaying a summary. I’m not entirely sure there will be a huge swell of people using this function, since it’s likely to annoy your social media friends as much as Facebook Farmville updates if you do it too regularly. But you might have a group of friends you can compete with. Should I buy the TomTom Curfer? The TomTom Curfer is a curious and unique product. You half expect it to be a tool for obtaining cheaper insurance premiums, or for companies to track their car-driving employees’ behaviour. However, it’s currently more of a leisure product, and as such doesn’t feel essential. That said, the technology is impressive and I had no problems at all with setup or operation during my testing, despite my allegedly incompatible car. Although TomTom seems to be focusing on the ability to track your driving style, the facility to analyse the changes in various car functions along a journey offers a more serious use. If you sense something went wrong with your car at a certain point as you were driving, this tool will let you get a deeper understanding of what happened, which could be great for commissioning your mechanic to fix the right issue. 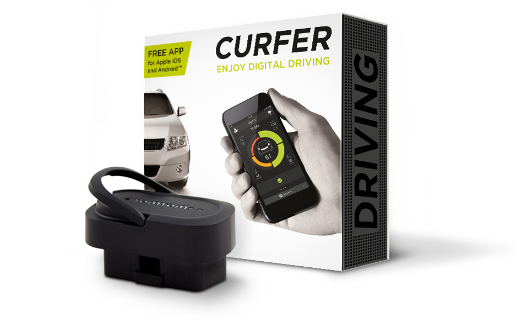 Even though the TomTom Curfer perhaps isn’t a must-have product for every driver, it offers some really interesting and potentially useful insights for the car enthusiast. 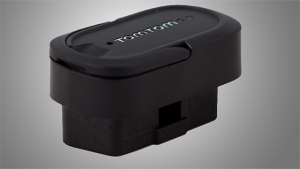 The TomTom Curfer provides a wealth of diagnostic information about your car, easily viewed on your smartphone screen. The post TomTom Curfer appeared first on Trusted Reviews.